Is the accountancy profession facing a succession planning crisis? Accountancy is facing a talent crisis, suggests research from Rutherford Cross. The study interviewed 15 senior partners and 150 millennial accountants. There are six key areas contributing to the succession problem. Accountancy practices and the Partners that lead them play a vital part in supporting the growth of the regional economies they serve - but a talent crisis is looming. Amongst other significant disruptive forces that the profession is experiencing, the worrying shortage of future leadership talent is an issue of concern to most current leaders. In the backdrop of a retiring population of senior Partner talent and a growing millennial workforce holding differing attitudes toward the world of work, the accountancy profession has a challenge ahead in attracting and retaining the best talent to lead the firms of the future. In 2017 Rutherford Cross, the official recruitment Partner for ICAS, conducted a study into the issue of succession planning in regional accountancy firms in the UK in conjunction with the University of Strathclyde MBA programme. 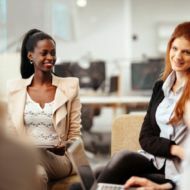 The study investigated the socio-psychological reasons for the leadership talent gap with the aim of adding to the limited research into the attitudes of Millennials working in the profession. The study gathered the opinion of over 150 millennial accountants and 15 senior Partners based in regional cities across Scotland and England with a view to better understanding the personal life considerations of this generation and their perceptions of the Partner role/model. Gender inequality at leadership level. The results of the millennials survey found that whilst the majority of those who had qualified in the last seven years reported high levels of current job satisfaction and commitment to their firm, crucially a significant proportion did not currently aspire to be a Partner in the future. Profit and hierarchy over purpose and equality? In the current environment there appeared to be a focus on short term profit extraction rather than a strategy to build legacy through the development of future talent. Statistical analysis of findings from the 2017 survey allowed comparison on the job factors and cultural factors which millennials were most satisfied or dissatisfied with to be explored. The findings backed up previous academic and popular literature that point to millennials as being driven by meaningful work and work/life balance more than other job or cultural factors. When taking in to account the millennial generation’s propensity to work for ‘more than a pay cheque’ this leads to a question as to whether there needs to be a fundamental shift in the way accountancy firms are organised. Of course, the dilemma of the partnership structure and its alternatives is prevalent across all professional service types organisation where ‘value’ is based on expert knowledge and the social capital of individuals’ networks. Lawyers, architects and management consultancies face a similar conundrum. There are examples in other professions where alternative business structures and public offerings have had some success. Similar examples in the accountancy profession are limited despite the argument that these alternative structures offer better opportunities for growth and collaboration; which literature tell us is what the millennial generation wants. The traditional partnership model will no doubt continue to dominate the accountancy profession in the UK for years to come but as competition becomes more intense, more business-centric and people-centric methods of delivering accountancy services may gradually force a change. Considering millennials will make up more that 50% of the overall workforce in the UK by 2025 their expectations may force the issue of whether the partnership model of governance in accountancy firms is flawed. Are you ready for a career conversation? To discuss the results of this research or request a full copy of the report, please contact Sandra McKinnon, Head of Practice for Rutherford Cross North West by email or call 0161 503 0035. And for a wider career conversation please email Sophie Randles, Head of Practice for Rutherford Cross Scotland or call her on 01416117770.